Vaccine hesitancy is a description of parents who have concerns about vaccine safety that lead them to delay or skip their children’s immunizations. I generally consider these parents to be “on the fence” and require gentle convincing as opposed to beating them on the head with peer-reviewed articles (which is the usual tone of this blog). Generally, I’ve always thought that vaccine hesitant parents responded better to other parents who may have gone through the same thought process or are empathetic to vaccine hesitancy. In fact, there are a couple of Facebook groups (which shall remain anonymous to keep trolls out) that invite these on-the-fence parents and help them understand the positives of vaccination their children on time. Kaiser-Permanente, a managed healthcare organization that is at the forefront of vaccine research, examined the approach of mobilizing parents who value vaccination to advocate for and have positive conversations about vaccines with other parents, especially vaccine hesitant ones. These conversations occurred at childcare centers, preschools and schools, using face-t0-face and social media interactions. Parents concerned about others not vaccinating their children rose from 81 percent to 89 percent. 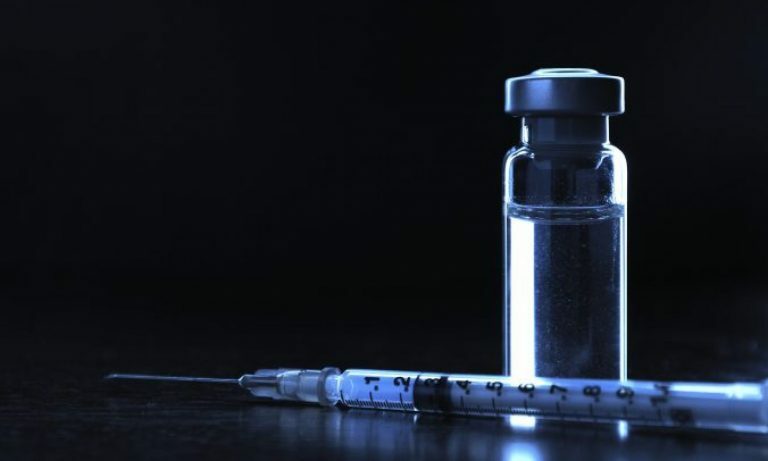 Those who called themselves “vaccine hesitant” fell from 23 percent to 14 percent. Our evaluation found that the Immunity Community program was successful at empowering parents to communicate positive messages about vaccines in a way that was not confrontational. Strong negative rhetoric about vaccines can circulate widely on social media. And some parents feel hesitant about early childhood vaccines and may delay or refuse some or all vaccines, which may put others in their community at risk. This project was designed to counterbalance prevalent anti-vaccine messages that do not reflect the fact that most (at least four in five) people vaccinate their kids and are supportive of vaccines. This physician-targeted communication intervention did not reduce maternal vaccine hesitancy or improve physician self-efficacy. Research is needed to identify physician communication strategies effective at reducing parental vaccine hesitancy in the primary care setting. Even though one could assume that a physician would be one of the key participants in parental decision process with respect to vaccines, it’s possible that physicians default to highly technical reasons in support of vaccines, while not having the time to provide sufficient empathy to the parent’s concerns that make them hesitant in the first place. Maybe parent-to-parent discussion of the important issues about vaccination is more valuable to reducing vaccine hesitancy. As a parent of three children, I am 100% behind all vaccines, the current vaccine schedule, and the need for maximum vaccine uptake. Of course, I rely upon science, and generally, this blog is here to contradict the myths and tropes of the anti-vaccine world, like the debunked vaccines causes autism tale. However, I hope I provide information that a vaccine advocate can use when encountering vaccine hesitancy. On the other hand, this study had several limitations that could lead us to re-think whether this method works. First, it had no control group – it only compared one group of parents pre- and post-intervention. It’s possible that the a control group would show the same change in vaccine hesitancy irrespective of parent-to-parent advocacy. Second, the research doesn’t examine the effect of confounders. For example, some factors that may have increased vaccine uptake in these two communities include news about vaccine preventable disease outbreaks in the area, or changes in vaccine exemption policies in the state. I think these preliminary results (the study will be published very soon, and I’ll update this article with links) show us that parental advocacy may be a highly effective way to change the course of the conversation about vaccine hesitancy in some communities. Like I mentioned, there are several valuable and successful social media groups that spend the time to convince vaccine hesitant parents, one by one, if necessary, about the value of on time vaccinations. There are websites, like Moms Who Vax, Red Wine and Applesauce, and Voices for Vaccines, that are important voices to help with vaccine hesitant parents. Many vaccine deniers are definitely not “hesitant” and are not open minded to real science and facts therefrom. They have poisoned the well of discussion about vaccines, so many websites, this one included, attempt to contradict the anti-vaccine messages. But if the methods described in this study work, then we continue to require two different message platforms – one for vaccine hesitancy and one for the true vaccine deniers. Henrikson NB, Opel DJ, Grothaus L, Nelson J, Scrol A, Dunn J, Faubion T, Roberts M, Marcuse EK, Grossman DC. Physician Communication Training and Parental Vaccine Hesitancy: A Randomized Trial. Pediatrics. 2015 Jul;136(1):70-9. doi: 10.1542/peds.2014-3199. Epub 2015 Jun 1. PubMed PMID: 26034240.